Poll: What should I focus on after release? Mstql and Funwayguy have updated this mod to 1.6.4(and beyond) and will be the future maintainers of this mod. Anyone who is interested in downloading it should head over there. The information in my old post may not be entirely relevant to their updates, so don't depend on it. I'm still looking for an artist to do a Horror, Retro, and RPG theme pack. I have a decent Comic pack, but a dedicated Cartoon pack would be nice as well. Contact me here through a PM or on my Skype at Sonicjumper0 or on my twitter @SonicjumperHD. Upon taking damage your character will "flinch"
I'm recreating the mod, so the old pictures are no longer relevant. I'll post some new ones soon. My goals for the next update are as follows:1. Decrease file size(some of you have been complaining). 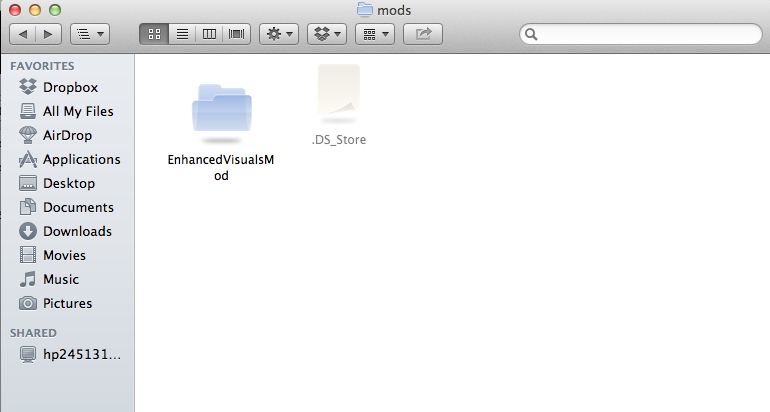 This is mainly due to my sloppiness of leaving in unused textures or using excessively large textures for the mod. I might split the download into 2 separate(one HD and one LD) for those of you who don't like better quality(which comes with a larger file size).2. Re-calculate all splats. I have decided that they get in the way too often than they are useful. After playing Skyrim one night I noticed how subtle the "splats" are on that game. I'll model blood and water splats a little more like that from now on.3. Sun flares! A lot of requests for this one. I'll find out some way to do this as best as I can, if not better.4. Altered low-health monitor. The animation for having low health will now be used to show a rapid decrease in health. So if you are injured very quickly it will flare up faster and stronger than if you are injured slower.5. Grayscale and blur low-health monitor. This has been requested a few times, but I have also seen it on other video games(such as the dayZ mod). Getting this to work might take a while, but I should be able to invest the time to do it.6. Multiplayer support. If I had a penny every time someone asked me about this, I would have a freaking lot of pennies. It will get done eventually, but I want it to actually work when it is done. If this takes more time, so be it.7. Underwater blur. This has also been requested a lot. It will mainly be modeled after Far Cry's water effect, but that's all the info I can give away now.8. Sound effects. This is a vague feature as of now, but the possibilities are growing. I hope to include option support for different voices/noises if you guys want that.9. In-game options. I know how annoying it is to deal with config files, I'll start putting my smarts to work and get an in-game thing set up for ya'll.10. "Face-wiping"? Possibly a feature. Just an easy way to clean your screen by pressing a certain key on your keyboard.11. Blinking. Another "could-be" feature. An addition to realism, so I would love to put it in if I get around to it.Anyway, all this and maybe more should be coming out sooner rather than later, but I cannot promise anything with my busy schedule. My job takes up a lot of time, but I'll try my best to make this amazing mod for all of you great supporters. This snapshot contains 3 visual packs. DefaultTheme, Sphax, and Comic. 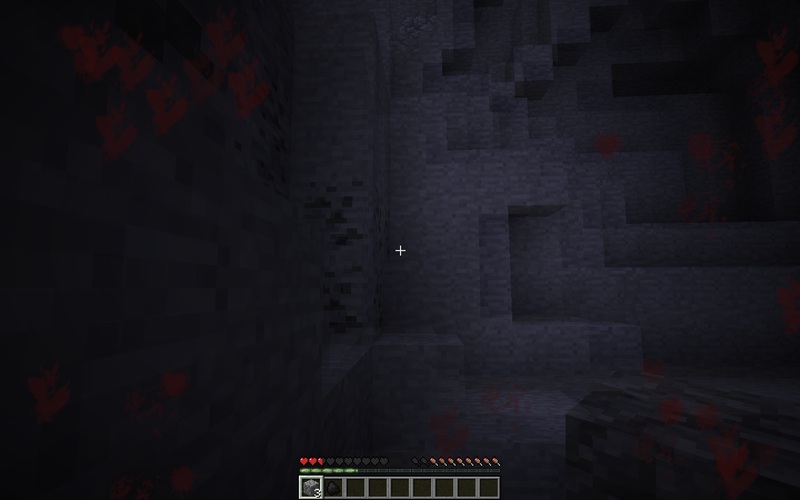 You can set the Sphax or Comic as Primary or Secondary for different visual results. Official snapshot download, test and report any crashes to me. - CHUCK NORRIS MODE ADDED! - Follow me on Twitter @SonicjumperHD for news and updates.- If you would like to support my mods, go ahead and download them. Use the adf.ly link to give me free money. There is also a DONATE button, so yeah, buy me some coffeh!! !- If you LIKE my mods, go ahead and click the + button at the bottom right of this post.- If you have a comment/bug/suggestion/crash report/etc. you can go ahead and leave a comment on this forum and I should see it within a day or so. Hey i love this mod. 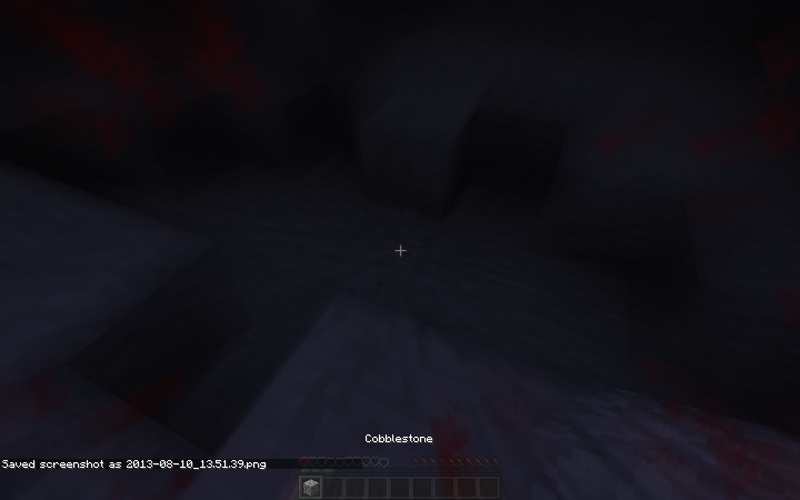 question what minimap mod are you using and what is the bar that had the mobs on it, by the hot bar. Meh, your average signature. :\ +1 me now for my mediocre signature now. I was testing compatibility with other GUI enhancing mods, to make sure my mod wouldn't malfunction with them. The mini-map is Rei's Mini map and the other bar is Advanced HUD. ChazOffTopic did a mod review on this. Maybe you could put it up in the OP. I did find one problem with cans mini-map mod, it may just be my installation but when i had it installed my screen was always in the low health blood blur/splatter. I was wrong it is BETTER! I really love the mod but i was just expecting the splattering effect to work on multiplayer too. Yeah but for an alpha mod you must have been working a very long time on this and putting alot of effort into it. Nice Job!Oh I realize that in the snow you still get the water splattering effect. Just a suggestion maybe in the future you could change it to like snow flurries effects on your screen. Yeah but for an alpha mod you must have been working a very long time on this and putting alot of effort into it. Nice Job! Oh I realize that in the snow you still get the water splattering effect. Just a suggestion maybe in the future you could change it to like snow flurries effects on your screen. Are you by chance a mind reader!? That was going in the next major update! I found a bug when using this mod along with the Portal mod, whenever I hold a Portal Gun the full damage splatter flickers on and off which kind of blinds me, you can test for yourself. Whenever I post, I regret nothing. Very nice! I like the overlays it adds, add a nice feel to the game. If you're able to can you try to fix a bug where when you hit tab you see a bloody screen like the most amount of blood possible and you aren't able to see the list of players. I love this mod!! I have a suggestion, and I do understand that it's in Alpha stage, but is there by chance you could make it so you can see the effects on a server, you know, like client side? All it shows right now is water spots and the red overlay when your close to death. I hope you can put this in as soon as possible! I have been trying to figure out why it isn't working on the client side for a long time. 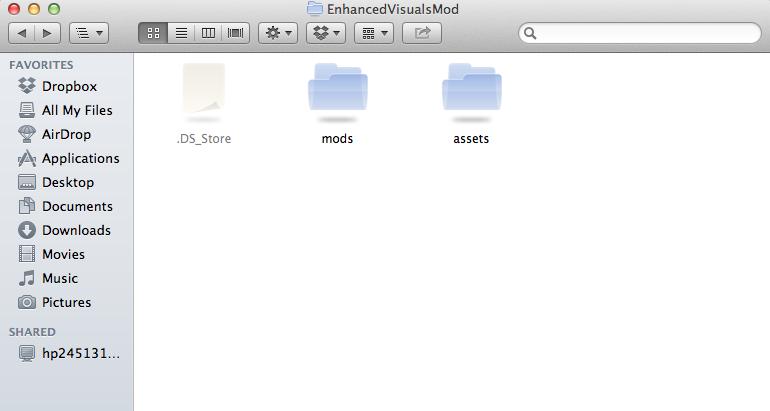 I think it has something to do with a hook I'm using improperly or some other mod stuff like that. Don't worry, eventually all these glitches will be fixed and I will move on to a fully functional mod! Oh yeah, be expecting an update pretty soon. I already have blood effect on explosion damage, but to make a separate image for it will only take about 5 lines of code(I'm really efficient about it). Sounds have been troublesome. When I get some time, I will watch a few tutorials and figure out how to add in my custom sounds.